For Zimbabwe, 2008 was not a good year: there was hyperinflation, an election derailed by political violence and the economy contracted. 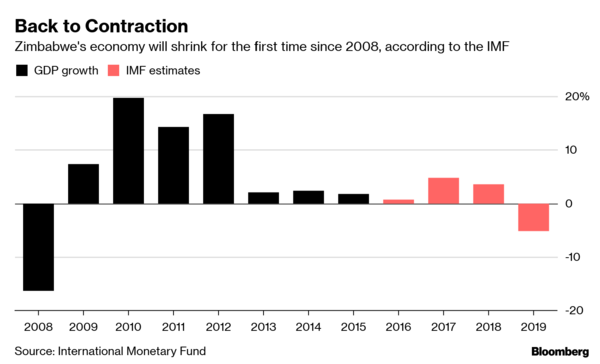 It’s 11 years later and there may be a new president, but inflation is once more spiraling upward and the economy will shrink again, according to International Monetary Fund forecasts. The IMF said on Wednesday it’s reached an agreement with the southern African nation about policies and reforms to help stabilize the economy.